I would rather think about air wave create turbulence. Seriously. This is just ridiculous. The means to stop enemy hypersonic weapons were well-known even in late 1950s; they were called “nuclear-tipped surface-to-air missiles”. Just put a small – kiloton-scale – nuclear warhead on your standard “Standard” missile (sorry for the pun), and it would be the solution to hypersonic weapon. It wouldn’t matter than nuclear “Standard” still could not correctly home on enemy hypersonic missile; the area effect of the nuclear blast (on high altitude, mainly in therms of neutron radiation) would be more than enough to correct any possible mistake of missile. Sorry, don’t buy the hype and all the touting of hypersonics, because nearly everything repeated in this post and all the defense media about them is wrong and completely misleading. 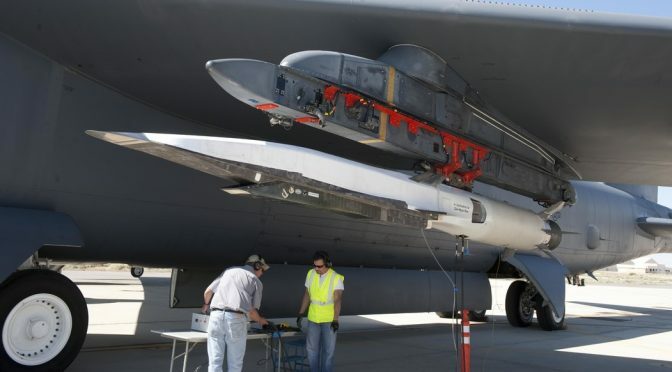 Hypersonics by definition are immensely easy to detect, track and destroy, because by traveling at hypersonic airspeeds in the atmosphere, they are easily detected and tracked by IR sensors throughout their entire flight profile, whether by ground based, air based, or space based IR sensors. They literally “light up the sky” because the air friction at hypersonic speeds drastically heats up the skin of the vehicle. This is something we’ve known for many decades. Even at high supersonic speed, such as the Mach 3.3 top speed of the SR-71 Blackbird, the skin heats up so much due to air friction that it cannot be made of ordinary aluminum, which loses much of its structural strength. Hence the airframe skins on SR-71 are made of titanium. Which does not prevent it from heating up, it just has a higher structural strength at those high skin temps. So in other words, HGVs CANNOT BE MADE STEALTHY. They just can’t. And anything we can sense and track can be destroyed. And another byproduct of the extreme airspeeds of hypersonics is that they cannot use IR imaging stealthy sensors, meaning they must rely solely on radar target tracking, which therefore makes them easily susceptible to radar jamming, and which also makes them easy to track on passive radar sensors. Secondly, we’ve been successfully intercepting hypersonics for decades, going all the way back to the Patriot PAC-3. It is no big deal to intercept a hypersonic reentry vehicle or missile. We’ve been hitting bullets with bulllets for a very long time now – we know how to do it with today’s anti-missile missiles, and we are constantly getting better and better at it. But, the touters of HGVs say that unlike BM reentry vehicles, these “glide vehicles” are maneuverable. Well, BM reentry vehicles are maneuverable too, and they maneuver. Second, the notion is that somehow these HGVs are juking all over the place wildly maneuvering, but that is simply not true. Traveling at hypersonic airspeeds simply precludes such radical air maneuvers, or the vehicles would simply disintegrate due to massive G forces. This is not to say that hypersonics are useless, but where’s the beef? Nobody has even demonstrated yet that any of them actually work – they are all vaporware as of today. And given the extreme weakness of NOT BEING STEALTHY, it is far easier to defeat an HGV than it is a wavetop-skimming stealthy cruise missile. Personally, I believe the huge hullaballo over hypersonics is driven by the media and defense contractors and uniiformed personnel who want another vast field of defense expenditures with which to build big empires. There are counters to hypersonics that I can think of, which obviously cost time, money, effort, and political will. For one, buy the IDF Air Defense System from Iron Dome to Arrow 3 (or 4). Arrow 2 and 3 are hypersonic and should be better performance than the Patriot and THAAD. Also produce the THAAD-ER for even better range and speed. Then there are USAF, USN, and perhaps even USCG counters that are readily available or could be produced and less bulky and expensive than Arrow, and I don’t mean SHORADs. However, no enemy missile or fighter has ever intercepted a SR-71 cruising at Mach 3.3+. Many tried and failed as Ben Rich’s “Skunk Works” book stated. So a hypersonic traveling at Mach 3 to 5 would be very hard to intercept because the current Mach 2+ countering SAMs would have to chase it and a slight hypersonic maneuver would send the attacking missile on a longer intercept course. A countering SAM would have to have much greater speed and range to intercept hypersonics, such as the IDF Arrows. However, I believe there exists counters to hypersonics now that could be used effectively as not everything intercept requires a SAM.